choice and engaging in activities with like-minded students! *Use the PEGeek's Rubric Maker to help clarify what the students need to know! - Schoology is now replacing Edmodo & Google Classroom as of 2/15! - Remind 101: I will use to text important reminders. - Actively Learn Modules (see my favorite things)! -Flipsnack - An online book creator / ibook Creator to replace Flipsnack soon! -Khan Academy 2015 First time coders! Thanks Khan!! -SeeSaw: New 2017-2018 - it's a must! Love it!! 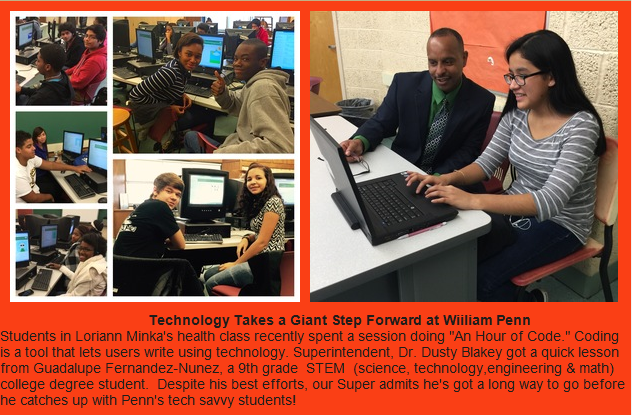 William Penn Top Fundraising High School in Delaware for Jump Rope for Heart & American Heart Association! Our total in 2016-17 was the highest that a high school has ever raised in Delaware! 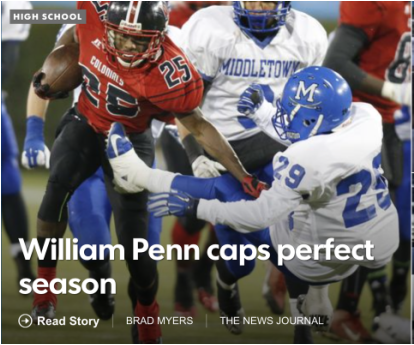 Congratulations to the 2014 DIAA Football State Champs - Wm Penn! Way to go and thanks bringing pride back to the Colonial Community! Senior players - Good luck in all you do & remember you will be missed! 2014 Trip to Visit District #11 in Colorado Springs. During the trip teachers, administrators, and Ron Pierce from our school board observed schools that are incorporating Personalized Learning 1:1 initiatives. 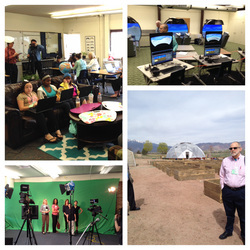 Pictured to the left: A learning lounges at a specialized high school, and in the middle schools: flight simulators, a greenhouse and growing boxes, and live morning announcements on TV. We our leadership in Colonial School District I sense many of the best things we saw will soon be here for our teachers and students to utilize on a day to day basis! !